I can't believe I'm gonna share my secret breakfast spot in San Diego but here we go. 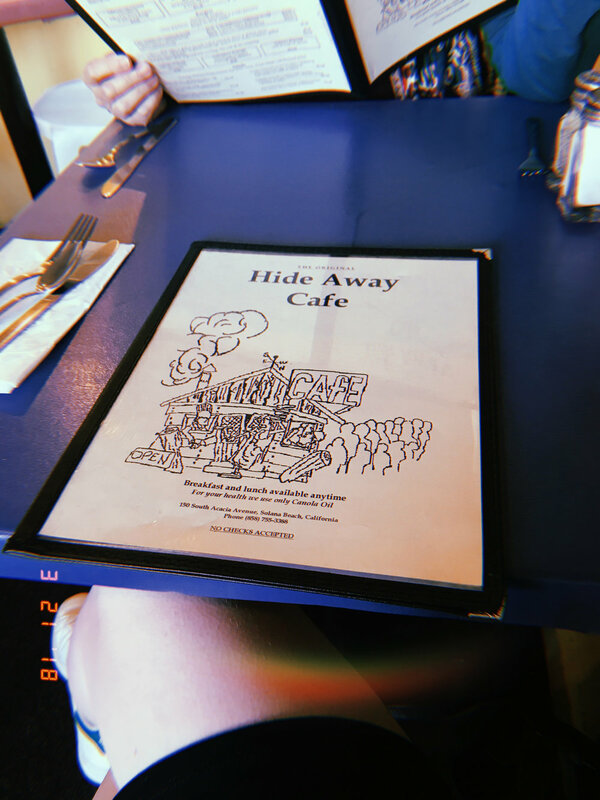 This is the Hide Away Cafe. It's right near the beach, it's super small and has the best breakfast out there. They also do lunch but I have only been at breakfast time. It's a small little room with tables outside but the service and food is awesome. I went for the classic breakfast and my mom had the huevos rancheros.